The second day of the Bricsys International Conference 2012 in Amsterdam started with a keynote speech by famous Belgian physicist and standup comedian Lieven Scheire. Lieven was the keynote speaker last year as well and it was nice to seem him back doing his thing once again. Lieven is part of a daily TV show called De Kruitfabriek which raises issues of society in a humorous way. 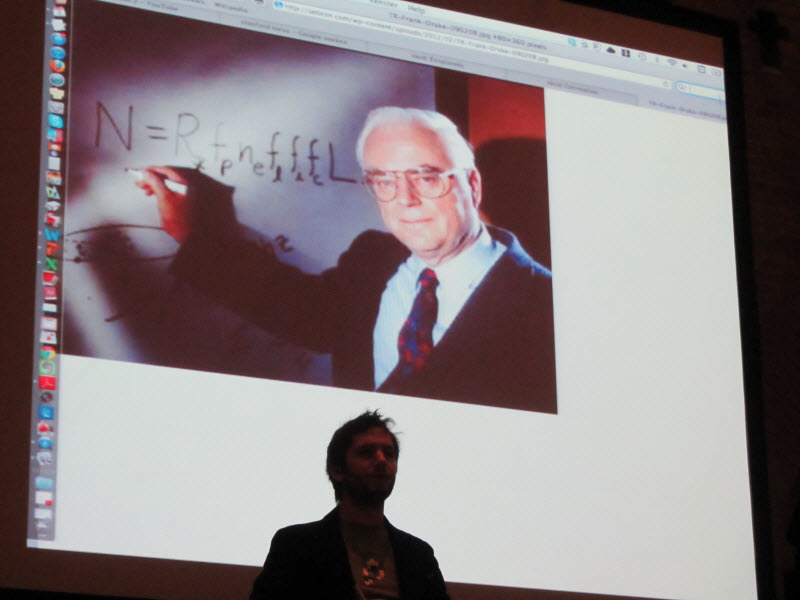 Lieven spoke about the Drake Equation, a mathematical equation used to estimate the number of detectable extraterrestrial civilizations in the Milky Way galaxy. Needless to say, the keynote was extremely entertaining while at the same time thought provoking as well. 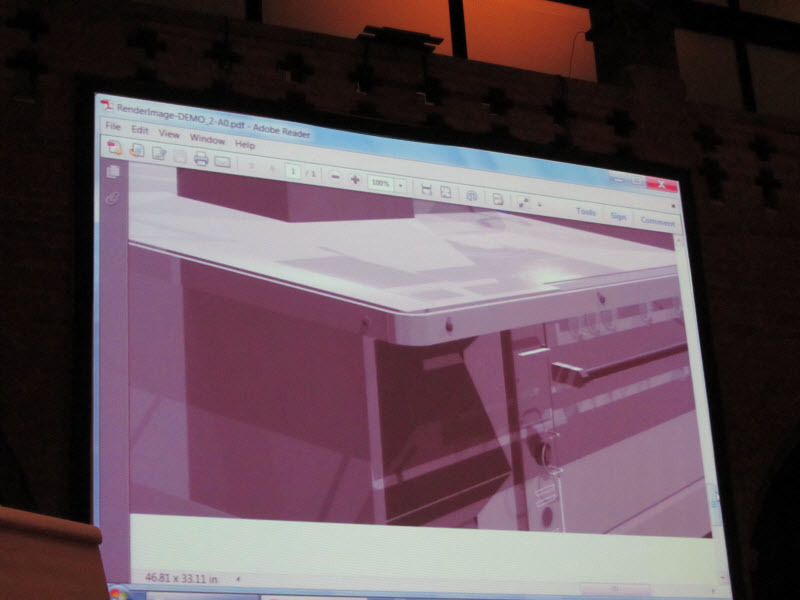 After the keynote Bricsys head of development Hans de Backer gave a presentation on Bricscad V13, the new version of the company’s flagship product. Features implemented in a development cycle usually fall in two categories – completely new features and enhancements to existing features. 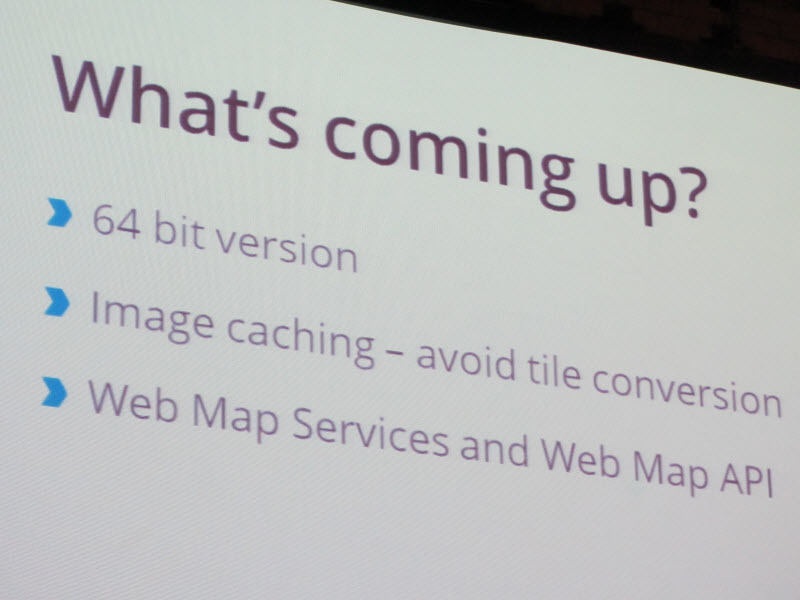 Bricsys doesn’t wait a year for the next release to add the enhancements. It adds them to minor versions during the year. The first part of Hans’ presentation was about these new smaller enhancements that were added to minor versions of Bricscad V12. Here is one of the many slides in Hans’ presentation. Later Hans listed the many new features of Bricscad V13. 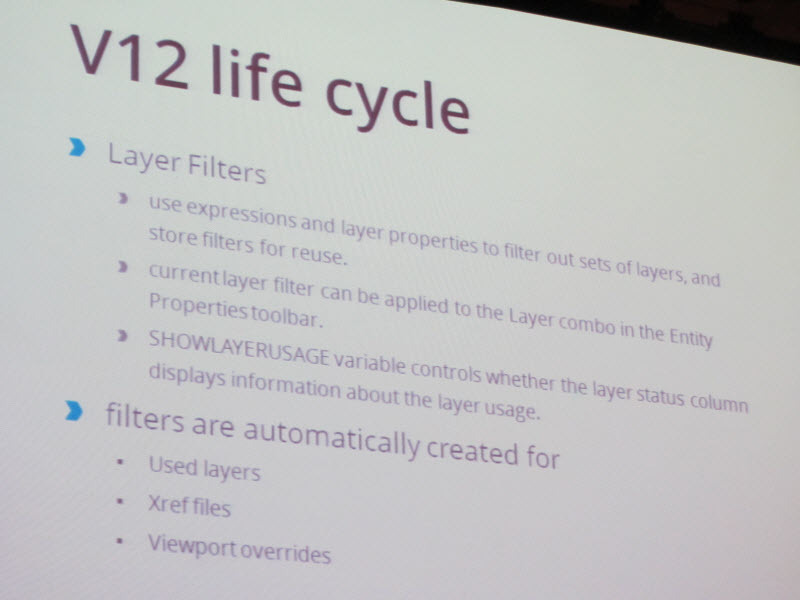 Here is one of the slides on new printing features in V13. Here is a PDF file of a plot created using the “high quality” visual style applied to a viewport. Hans also laid out some of what’s coming up in the next version of Bricscad. Arnold van der Weide, president of the Open Design Alliance, gave an update on his organization which appears to be growing rapidly. The average increase in revenue for the organization has been 6.2% since 2007 and that has led to increased spending which has translated to a larger teams for development and QA. Arnold stated that the quality problems that have been plaguing the ODA have now been brought under control. The ODA is working on reverse engineering the DWG 2013 file format and they hope to release a version of Teigha that supports DWG 2013 before the end of 2012. 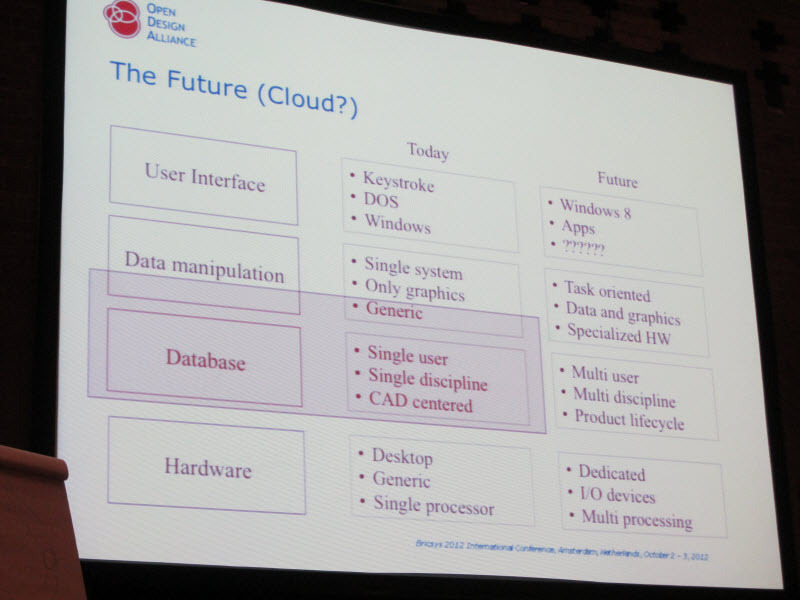 This slide shows Arnold’s view of the present and future. The red box indicates the part where the ODA fits in.